As we discussed on our Conceptual Options Blog last week, whether you are a Surrogate or carrying your own babies, a twin pregnancy changes everything you may have ever known about being pregnant. In fact, we have found a great article on the Scary Mommy blog that lists the top 10 reasons why a twin pregnancy is so different from a singleton pregnancy. 1. Welcome to a high risk pregnancy. 4. Maternity clothes are not made for multiples. 5. You will learn a new language. 7. Physics will play a larger role in your life than you ever thought possible. 8. Inappropriate questions, comments, and reactions from complete strangers. 9. Invest in an under belly support band. There are definitely more than 10 reasons, but these are some of the best! Can you think of any advice for anyone pregnant with multiples? Read more about twin pregnancy versus singleton pregnancy at the Scary Mommy Blog. 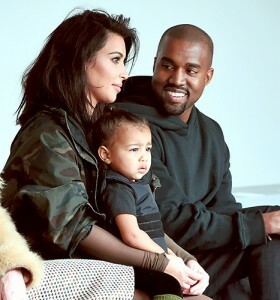 As we discussed on our Conceptual Options blog last week, many celebrities, like Kim Kardashian, have explored the possibility of having a child through Surrogacy. It is absolutely important that they educate themselves on the entire process. Because, whether you are a celebrity or not, using Surrogacy to have a child is an in depth process that you should understand completely before diving in. For example, you need to explore the pros and cons of using a Surrogacy agency rather than doing an independent Surrogacy; and to do that, you need to be educated. There are many places that you can turn to for this education. Whether it be an agency, the internet, or organizations like Resolve or ASRM. If you use an agency, their staff should welcome every question that you may have and be able to explain the entire process to you. Please do not hesitate to contact the staff at Conceptual Options if you have any questions regarding Surrogacy, Egg Donation, or Sperm Donation. According to People Magazine, Tyra Banks has welcomed a son via surrogacy with her partner, Norwegian photographer Erik Asla. Congrats from Conceptual Options are in order for this new family! A gay couple in Florida is suing the IRS for denying their medical deductions for surrogacy and IVF. 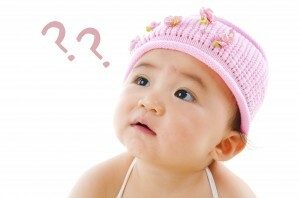 Is being gay, in a long-term committed relationship, the same as being biologically infertile? That’s the argument being made by a Stetson law professor in a lawsuit against the federal government. Joseph F. Morrissey, who teaches constitutional and business law at Stetson, is seeking to overturn a ruling by the Internal Revenue Service that denied him and his partner a tax deduction. The deduction would have been for costs associated with their use of in-vitro fertilization and a surrogate who gave birth to their twin sons. An IRS revenue agent who denied the claim said Morrissey’s sexual orientation was a “choice,” according to the lawsuit filed in U.S. District Court in Tampa. Although there have been unsuccessful legal challenges to these deduction denials for gay men, Davis told The Tampa Tribune that Morrissey’s lawsuit makes a different legal argument — that being gay and in a committed relationship is the same as being medically infertile. We also think that it is about time that the IRS catch up with the realities of real life – gay or straight. Read more here about the gay couple suing the IRS over medical deductions. Conceptual Options’ staff has found a few blogs that we think are awesome information centers – no matter if this is your first child or last or you are a surrogate or an intended mother. For starters, this delightful blog, Life is Really Easy, is written by Queen Calm, an anonymous mother-to-be who is looking forward to meeting her son this fall. She blogs about life, books, and all her glamorous moments throughout pregnancy and motherhood. Plenty of great resources and funny humor. 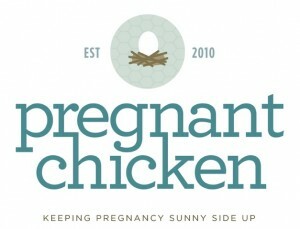 In fact, this blogger (Queen Calm) has even guest posted on a site called the Pregnant Chicken, yes, it is what you think it is – and it started in 2010 so that women can share their experiences during pregnancy and beyond. This is another great resource for discussing things such as working while pregnant and helpful places to visit and antedotes to share. Read more here about Life is Really Easy and the Pregnant Chicken. A surrogate employed by Marriott hotels is suing her employer over her inability to take lactation breaks while working. Marriott employee in California is suing the hotel chain for discrimination under both state and federal law, alleging that Marriott denied her legally mandated lactation breaks. Marriott says it was not required by law to give plaintiff Mary Gonzales, a cashier and accountant at the LAX Marriott, breaks to pump breast milk because Gonzales is a gestational surrogate, not a mother with an infant at home. As a surrogate, Gonzales gave birth in April 2014 and, upon returning to work in June, took two 30-minute breaks each day to pump breast milk to send to the child’s parents. Once her obligation to send milk to that family ended at the end of the month, she decided to continue pumping for the “personal health benefits” of lactation and to donate to the Preemies Milk Bank and women who are unable to breastfeed. Gonzales alleges that her boss told her she could continue taking lactation breaks for another 30 days; when those 30 days were up, she began using her 30-minute lunch break instead, and ate lunch during her 10-minute morning rest break. As a result, Gonzales says, she suffered from clogged ducts, breast pain, blisters, and loss of sleep as she had to pump at night. What many are questioning is should this be covered under the law? As the response from Marriott stated, “personal health benefits’ of lactation—which it compares to ‘exercising during the workday’—is unfounded.” What are your thoughts on this case? Read more here about the Pregnant Surrogate Employed by Marriott Suing over Lactation Breaks. We all have heard about “pregnancy brain,” but is it for real? We are not so sure after reading this, but it looks as if morning sickness and hormonal changes do create an environment of forgetfulness. While a number of women – like my friend – complain that pregnancy has made them more forgetful than usual, the research on this topic is mixed. Like most changes that occur during pregnancy, hormonal fluctuations are an obvious possible culprit. Some women report no cognitive changes during pregnancy. What do you think? Read more here about pregnancy brain. It looks like a sad ending to wonderful news from Fredrik Eklund of Bravo’s Million Dollar Listing. Eklund, who announced earlier this year that his surrogate with husband, Derek Kaplan, was expecting twins now has some unfortunate news – his surrogate miscarried. At Conceptual Options we know that miscarriage is a sad reality in our daily life, but that still does not lessen the blow when it happens to you. 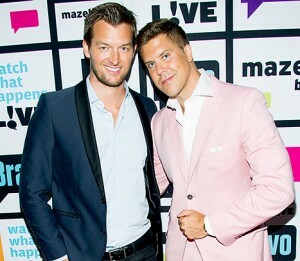 Best wishes to Fredrik Eklund and his husband, Derek. We certainly hope that the future holds a little girl for you both.